Gregory Thaumaturgus—the Wonderworker—remains a scantly studied figure of the late antique Christian Church. This is neither because he lacked pizzazz—he once moved an immovable boulder through prayer to convert a pagan priest—nor for his lax literary output. 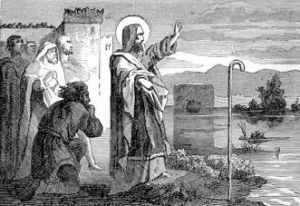 In all likelihood, Gregory (c. 210-270/5 ce) remains relatively neglected because he lived in a time when his theologizing about the nature of God took a back seat to surviving Roman persecution. 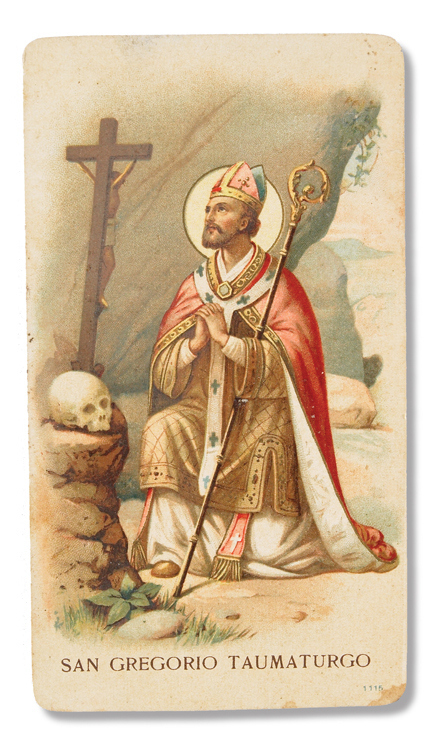 Although Gregory lived through the Decian torments, he did so by leaving both his post as bishop of Neocaesarea in Pontus and the fervent example of his teacher Origen. Yet Gregory has much to offer for today, as Michael Slusser makes clear in his Fathers of the Church compendium on Gregory’s life and works. Now nearly twenty years old, Gregory Thaumaturgus: Life and Works persists as the standard treatment for English engagements with Gregory. Slusser spends nearly a quarter of this work contextualizing Gregory, discussing his life, background, and theological influences as well as the textual traditions of his surviving manuscripts. The editor takes a maximalist position on Gregory’s authentic works, though he differs from several other scholars in believing the ‘Creed of Gregory’ recorded in Gregory of Nyssa’s Life of Gregory to be a later attribution to the Wonderworker. Slusser’s argument that Gregory’s extant works are early—and therefore fairly rudimentary in terms of theological nuance—remains fairly convincing, although little evidence for anything other than an extremely basic chronology for Gregory’s life exists. Translations of Gregory’s authentic works and a selection of associated writings form the bulk of this volume. 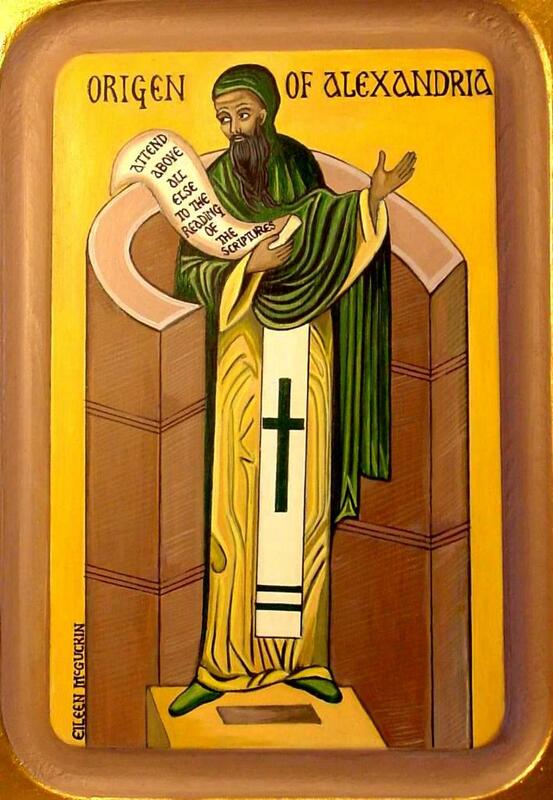 These include Gregory of Nyssa’s Life of Gregory the Wonderworker, an “Address of Thanksgiving to Origen,” the “Metaphase on the Ecclesiastes of Solomon,” a “Canonical Epistle,” “To Theopompus, on the Impassibility and Passibility of God,” “To Philagrius [Evagrius], on Consubstantiality,” and other minor works. To comment on these works, Gregory of Nyssa’s Life feels typically Cappadocian, with plenty of resonances to earlier saints and their miraculous power from God. Especially important is Gregory’s portrayal as a recapitulation of Moses, holding power over demons, nature, and being able to portent future persecutions at the hands of a foreign empire. In spite of this power of wonderworking, Gregory remained humble and in search of the true philosophy of Christ from an early until his death. In the “Address of Thanksgiving to Origen,” Gregory reflects more deeply on true philosophy, casting the attractiveness and the beauty of the divine λογος as utterly worthy of reflection and philosophical inquiry. “Metaphase on the Ecclesiastes of Solomon” stands as a rewording of Ecclesiastes that would make Eugene Petersen proud. Immanently exegetical, Gregory nonetheless draws his readers to reflect on the order and power of divine wisdom. Slusser notes that Gregory’s theology has often been critiqued for its lack of emphasis upon the incarnation, Jesus, and the Spirit. However, while “Thanksgiving” and “Metaphase” both clearly focus on God (the Father) and humanity’s moral quest for God, the implicit importance of the Son and Spirit in these writings affirms Gregory’s Trinitarian faith and underscores the value that his thinking placed on personal relationships of all forms. To quickly note some of the other works included in this volume, in the “Canonical Epistle” Gregory compels Christians to fight against greedy and for honest participation in communities, his most evident example of his social program for the faithful. In “To Philagrius” outlines Gregory’s Trinitarian understanding of the simple and plural, where the Son and Spirit eternally exist as a “double flow” for the “usefulness of our souls’ salvation” (176.6). Slusser also includes in appendices “To Tatian, on the Soul,” the “Glossary on Ezekiel,” and a “Letter of Origen to Gregory,” which he labels as vestigial documents for contextualizing Gregory. “To Tatian” reads very much like a catechetical lesson on the human soul and the “Ezekiel” very much like exegetical notes. It is within “To Theopompus” that we see Gregory’s most influential theological views. Central for Gregory’s understanding of God’s impassibility is His total freedom, for “we must never think that any powerful constraint of necessity ever hampers God from doing what he wills…” (153.2). In this view, God exists exalted above passions, for His plurality always agrees within itself in everything it plans to do (155.4). For Gregory, God’s subjecting Himself to human passions in the incarnation does not violate His impassibility, but rather indicates His overarching impassible will for the salvation of humanity (156.6-157.6). Indeed, “When God arrived at death, that was the death of death, since he was not held by it, and likewise the impassibility of God was the cause of suffering of the passions, when he entered into the passions” (158.6). God’s impassibility thus remains sovereign over passions, especially in God’s manifestation of His own suffering (163.10, 166.12). The kerygma of the Church consists in proclaiming that God voluntarily entered into death through the emptying of His omnipotence (and not His divine essence) and thus conquered the power of death through the incorruptibility of His essential being (167.12). Overall, Gregory’s arguments on the impassibility of the Divine have proven quite influential in the life of the Church, as has his location of Christ’s kenotic emptying as the solution for properly coordinating the concept of impassibility with the suffering savior. Gregory’s lack of specific Christological language may trouble some readers, especially in light of the later Christological heresies associated with his teacher Origen. Yet a charitable reading renders Gregory’s insights more than useful for theologians willing to utilize a “divine attributes” approach to the doctrine of God. Regarding Slusser’s presentation, much praise is due. This volume helpfully contextualizes Gregory and allows period sources speak on their own terms. Gregory Thaumaturgus: Life and Works comes highly recommended for anyone desiring to learn more about Gregory the Wonderworker’s life, works, and theology of God. Gregory Thaumaturgus. Gregory Thaumaturgus: Life and Works. Translated and edited by Michael Slusser. Fathers of the Church: A New Translation 98. Washington, D.C.: Catholic University of America Press, 1998. 199 pp. My favorite example of this is Gregory’s image of asbestos, which prevails against fire.